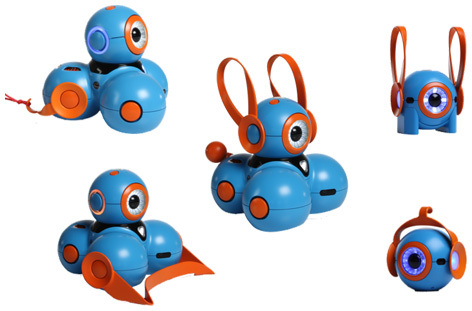 The onward march of educational electronic toys for younger children, takes a giant leap with the launch of Bo and Yana robots produced Play-i. This start-up company is staffed almost exclusively by former Google and Apple employees who know a thing or two about computers. Backed by search giant Google, these cute little machines are specially designed for kids as young as five years old. 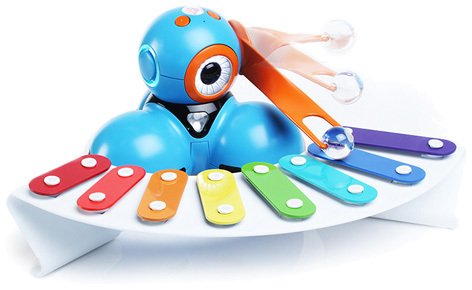 Controlled from a tablet or smartphone device using a dedicated app, the toys are explicitly intended to teach children how to create programming code, and then use it in a useful and productive way. Bo is the male in the team. He has three wheels that enable movement in any direction and is installed with navigational sensors, IR beacons for communication and selection of toy like attachments. Yan, being the female is slightly quieter, although no less assertive. She doesn’t move in quite the same way as Bo, but still possesses a gyroscope, an accelerometer, IR beacon and a method of attaching accessories. With the programming interface coming in three different age groups, (5-8, 8-12, and 12 plus), Yana and Bo offer exceptional value for money. Parents can see the added importance of ensuring their kids are ahead of the game when faced by a world that becomes more and more reliant on computers to control almost every aspect of human’s lives. Please tell us what you think of Yana and Bo.